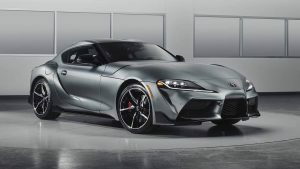 Home Auto 2020 Toyota GR Supra returns: Drive the legend! TORONTO, ON: Drive the legend, reborn – for less than you’d expect. The Toyota Supra returns to Canadian showrooms for the first time in more than 20 years, as the fully-loaded 2020 Toyota GR Supra prepares to turn heads and bust records on Track Days this year, at a MSRP of just $64,990, fully-loaded.